This entry was posted on June 30, 2016, in News. Bookmark the permalink. 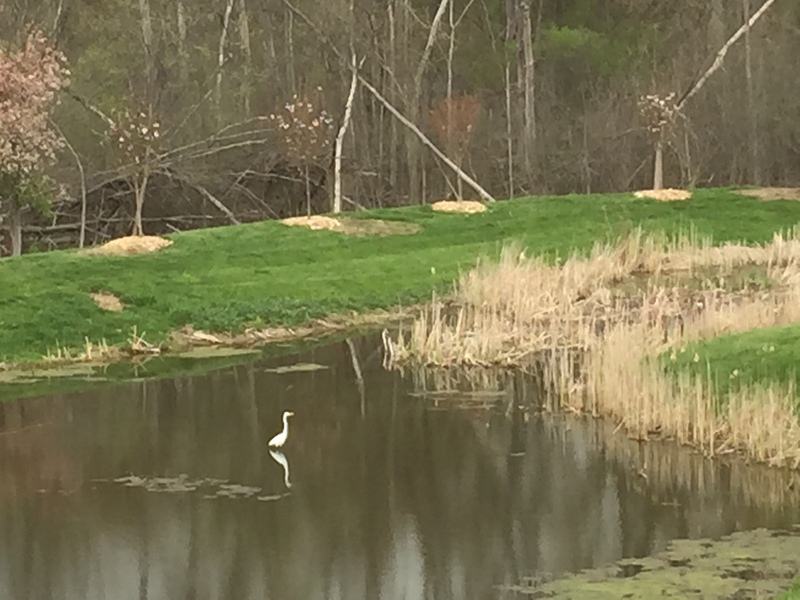 Some nice changes were made earlier this Spring: flowering cherry trees were added around the community’s interior detention pond. They flowered already this year, and next year should be spectacular. An egret looks on with approval at the cherry blossoms surrounding the pond.